fodada, a men's fashion line created just for dads, is announcing the launch of its Color for Cause series. Staying true to fodada's objective of taking care of dads and all that is important to them, founder Bobby Barzi is excited to announce the limited-edition color capsule collections and give back to various causes. 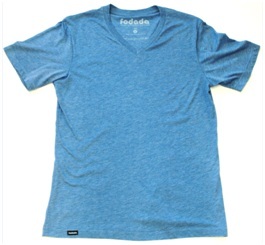 fodada's current line consists of basic styles and colors. This intentional design mantra allows the brand to stay basic and simple, combining comfortable and understated hip styles to make any dad's wardrobe complete. "Our core line will continue to be developed around the current band of colors, but I certainly think that any dad's wardrobe can use a splash. When adding color to the fodada line, I wanted it to be meaningful. As our brand is cause driven, so are our line expansions." Says Barzi. Launching today, the first palette of the color collection series will hope to generate exposure and funds for autism. fodada will donate 50% of profits from the online sales of the powder blue line to Autism Speaks, the nation's largest autism science and advocacy organization, dedicated to funding research into the causes, prevention, treatments and a cure for autism. 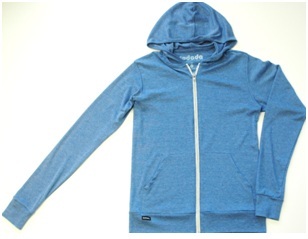 The limited-edition collection will feature a powder blue casual tri-blend "Dada Hoodie" ($86) "Baba T "($33) and "Baba T V-Neck " ($35.) The collection will also include a women's "Mama Hoodie" ($86) and "lil T" shirts for kids ($18.) The items will be available exclusively online from September -October, just in time to support the 2012 Orange County Walk Now for Autism Speaks on October 13th. Following this fashion shopping article, fodada is hoping to partner with the American Heart Association in February to continue the Color for Cause campaign with a possible "red line" to support heart health. Hopefully, Apparel Search can report further on this in the future. fodada is a fashion line of basics for men, including tees, polos, hoodies, cardigans and hats that was created for "dadas" who live their life around their kids; dads who pretend to be jungle animals one minute and a super hero the next. Dads who never miss a goal and don't mind playing doll house for hours. The line is for fathers who need some comfortable, cozy and hip clothes to relax, play or do whatever in.